Episode 431 of I'll Drink to That! was released recently, and it features Victor Hazan, who wrote the book "Italian Wine," published in 1982. Victor also co-wrote several cookbooks with his wife, the late Marcella Hazan. Victor Hazan is an exquisite writer, and if you have had a chance to read some of his work, you will be familiar with his knack for an elegant turn of phrase. So I was surprised when Victor directly called out a prominent Italian winemaker as a "terrorist" in this discussion. Terrorist, not terroirist: that was a bit of a shock. Clearly, Victor did not want to pull any punches in this interview, or to detour around issues that he has been considering since the late 1970s, when he began writing about Italian wine. 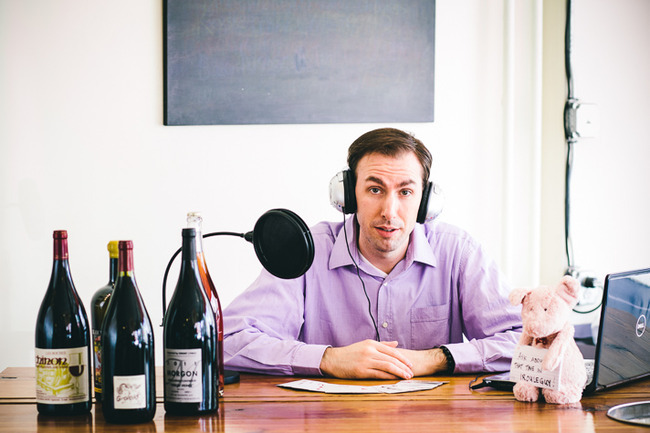 This episode has Victor's own thoughts down on tape, the inner murmurings that he has kept to himself since he declined to write further about wine, many years ago. Victor doesn't seem to be lashing out here, but rather delivering a judgement of himself and his own actions. Who was he to write about these wine subjects, he wonders aloud in this interview, as only "one little old man?" At 90, Victor may have now found the freedom to announce his true feelings in a way that he has previously avoided. Any time someone wants to come to grips with their own legacy, the effort alone can be a stimulus to new ideas. It is here. Listen to the stream above, or check it out in iTunes, on Stitcher, Google Play Music or check it out on YouTube. This week included a set of new releases from what may be the world's most environmentally friendly winery, Chateau Maris, a fully biodynamic estate in the Languedoc with a winery built from hemp, vineyards worked by horses, and all manner of ecologically friendly approaches to how they make wine. I've been tasting these wines with some regularity over the years, and whether due to vintage variation or simply evolution in winemaking style, these are the best wines I've had from this little producer, and they're definitely worth seeking out. Added to the mix this week were also some current wines from DuMOL, a winery in the Russian River Valley that has long employed the talented Andy Smith as winemaker. Smith makes excellent Pinot, Chardonnay and Syrah, but apparently also Cabernet, as I learned this week. Finally, I've got a Pinot from Oregon and a Crozes-Hermitage from the Rhone valley to round out the selections this week. Light gold in color, this wine smells of lemon curd, golden apples, and a touch of honey. In the mouth, juicy flavors of lemon curd, apple and oatmeal have a snappy brightness thanks to excellent acidity. Toasty notes of oak sneak into the finish, along with a charming saline character. 14.1% alcohol. Score: around 9. Cost: $57. click to buy. Light to medium garnet in color, this wine smells of sweet cherry fruit with a hint of blueberry. In the mouth, bright and uncomplicated flavors of cherry and cranberry build some complexity as they move across the palate and scents of cedar and dried herbs begin to emerge. Good acidity and length. 14.1% alcohol. Closed with a screwcap. Score: between 8.5 and 9. Cost: $55. click to buy. Medium garnet in color, this wine smells of cherry and cranberry and wet redwood bark. 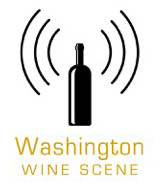 In the mouth, rich cherry and cedar flavors have a nice zip to them thanks to excellent acidity. Hints of wood emerge on the finish, with highlights of vanilla and scents of dried herb. 14.1% alcohol. Score: around 9. Cost: $69. click to buy. Dark garnet in color, this wine smells of wet earth, raisins, and cherry cordials. In the mouth, savory flavors of woodsmoke, cassis, and blackberry have a rusty nail, iodine character that is as distinct as it is compelling. Decent acidity, and only the faintest of tannins. Moderate finish. 14% alcohol. Score: between 8.5 and 9. Cost: $23 click to buy. Very dark garnet in the glass, this wine smells of struck match, blackberry pie, and earth. In the mouth, silky flavors of cassis, blackberry and wet earth have an exotic smoky quality to them that is very compelling. Deliciously savory, with notes of dried herbs and dried grasses lingering in the finish. 14.5% alcohol. Score: around 9. Cost: $55. click to buy. Inky purple in the glass, this wine smells of cassis and wet cement and dried flowers. In the mouth, savory notes of blackberry and cassis are nestled into a suede glove of tannins that gradually increase their grip on the palate as the wine finishes with earth and smoke and herbs. Good acidity. 14.5% Score: around 9. Cost: $18. click to buy. Dark garnet in color, this wine smells of cassis and blueberries. In the mouth, gorgeous blackberry and blueberry flavors have a smoky and floral quality, along with a juicy brightness thanks to excellent acidity. Faint, powdery tannins leave a putty-like texture as notes of cassis and blueberry syrup linger in the finish. Quite pretty. 14.3% alcohol. Score: between 9 and 9.5. Cost: $60. click to buy. Dark garnet in the glass, this wine smells of cherry and tobacco and earth. In the mouth, rich cherry and espresso notes mix with a deeper earthiness and hints of cedar. Excellent acidity and muscular tannins round out the package. Tasty, and will benefit from a few years of bottle age. 14.5% alcohol. Score: between 9 and 9.5 . Cost: $90. click to buy. Dark garnet in color, this wine smells of raw steak, cassis and dried flowers. In the mouth, cassis and blackberry flavors mix with wet earth and an iodine meaty quality that adds a nice savory note to the fruit. Very faint, fine grained tannins linger in the finish with some sour cherry aromas. 13% alcohol. Score: around 8.5. Cost: $21 click to buy. I love this time of year. Although the changing of the seasons can seem a little schizophrenic. 80 degrees one day; raining and overcast the next. But this is harvest time, the final bounty of summer. True, it can be hard to plan for dinner just because of the bounty. Here is a dish that is ideal for the cooling weather. 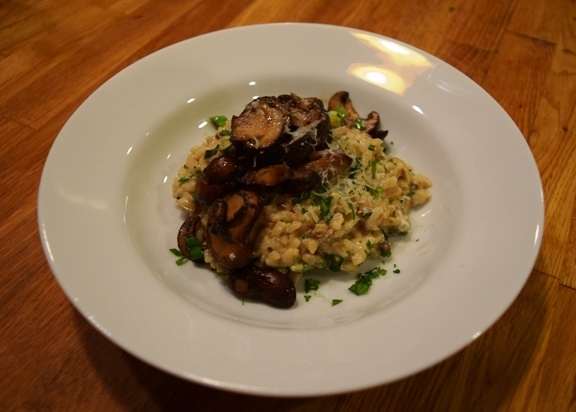 Truffle Mushroom Risotto. Made with sautéed mushrooms and spiked with truffle and porcini this is a rich creamy side dish or Primo for an elegant dinner. I always make a little extra so I can have it for lunch the next day. One of things I really like about this dish is that it pairs well with an array of wines. It plays well with nice Pinot Grigio or Chardonnay when served as a starter but also holds its own alongside fuller bodied reds. The earthiness of the mushrooms and the added umami of the Grana Padano make for a perfect match to a rustic styled Sangiovese. I am a big fan of Sangiovese and I think that Chianti doesn’t get the respect it deserves. Sangiovese and Chianti in particular, is a food loving wine. Italians drink wine with food and make wine to go with food; every meal; every day. So there is a lot of really great Italian wine that you can afford to drink every day. You can get yourself a great Chianti for not a lot of money. Take for example the Collazzi I Bastioni Chianti Classico 2013, a wine that Antonio Galloni called, “… a jewel of a wine from the Frescobaldi family.” The Frescobaldi are a prominent Florentine noble family that have been involved in the political, sociological, and economic history of Tuscany since the Middle Ages. If you are planning on serving this dish with something more robust like Brasato or Bistecca Fiorentina you could step up to a “Super Tuscan”. 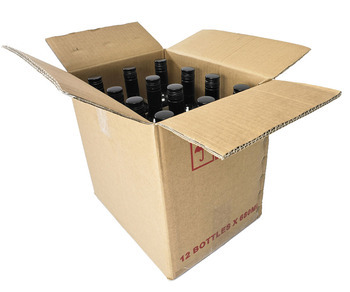 These are wines made with international varietals like Cabernet. These wines make for a great conciliation between old world and new. If you are entertaining people who are familiar with Napa than Siena, this makes for great compromise. I have favorite go to “Super” – Montepeloso A Quo. This wine is a balance of Cabernet, Montepulciano and Sangiovese with a little Alicante Bouschet from one of Tuscany’s most exciting winemakers. Quietly over the past decade, Montepeloso’s Fabio Chiarelotto has emerged as one of the towering winemakers of the Tuscan coast. His windy site sits above the famed Tua Rita estate in Suvereto, producing red wines that are among the region’s most refined. When he purchased Montepeloso in 1998, it was already well on its way to international stardom. Chiarelotto could have rested on that reputation, but he felt that as the vines and been planted and trained, the site would never reach its full potential. And so he spent years reshaping the vineyards. For eight long years, Chiarelotto painstakingly reshaped the estate’s vineyards. With each vintage, he experimented with blends and techniques that would harness the latent power provided by the terroir, but temper it so that the terroir could fully express itself. Looking back, he made the right decision, as today Montepeloso has few rivals on the Tuscan coast for producing wines of riveting complexity and great elegance. Proprietor Fabio Chiarelotto succeeded in capturing the best elements of these sites while also shaping his wines with a level of finesse that is remarkable. So no matter if you how you serve this Truffle Mushroom Risotto there is a wine out there for your mood, company or menu. Combine 2 cups water and dried porcini mushroom in a small sauce pan and simmer to reconstitute. In small batches add chicken stock adding just enough to cover the rice. Using a microplane finely grate truffle into rice. Strain porcini and reserve the liquid. Finely dice the porcini and add to risotto. Slowly cook risotto over medium heat adding stock and reserved porcini water. Cook until rice is al dente, cooked to be firm to the bite. Add more water if necessary. Add cream and continue to stir remove from heat add about 1 cup of Grana Padano and chopped parsley. Adjust seasoning if needed. Garniture: sauté fresh mushrooms in butter until brown and soft, deglaze with Marsala and add fresh scallions set aside. The post Truffle Mushroom Risotto and Sangiovese appeared first on Madewine's Sippy Cup - Blog. Oct. 14-15. Kunde Family Winery, 9825 Sonoma Highway, Kenwood. Free. www.kunde.com. Carmel Valley Wine Experience Grand Tasting: This event features tastings from 12 Carmel Valley wineries accompanied by seasonal noshes from local restaurants.